SWS is proud to announce our territory for the Vac-Con line has expanded into northern Idaho and Northwestern Montana. 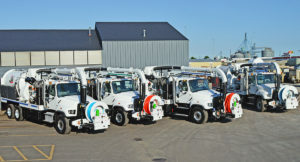 Located in Green Cove Springs, Florida, Vac-Con manufactures trucks for the sewer industry including combination machines, industrial vacuum loaders, hydro-excavators and hot shot jet rodders for the public and private markets worldwide. Vac-Con has been in business since 1986 and has manufactured over 7000 custom built, truck-mounted machines. They are known for having the highest quality vacuum trucks. In 2008 SWS became a distributor of Vac-Con trucks. Over the years we have created a great deal of awareness in the Northwest for the Vac-Con line. Customers have been thrilled with the operation and durability of the Vac- Con units. We are very excited for the opportunity to expand our Vac-Con success throughout the Northwest. inspection systems with features that are unique in terms of function and technology. Their variety of products range from miniature electronic circuit boards, housing machined from solid materials for camera systems, equipment for pipe cleaning and leak testing, special lens systems of their own design and complex software for data analysis. SWS has been a vendor of IBAK for the last four years. 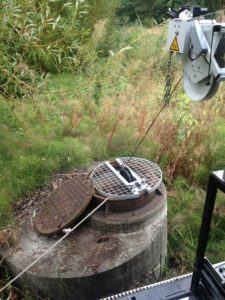 The City of SeaTac became a customer of SWS in 2016 when they started researching a solution for their sewer needs. The city is approximately 10 square miles located halfway between the cities of Seattle and Tacoma with a population of approximately 25,000 people. The city is responsible for maintenance, repair and replacement of storm water assets such as pipe, culverts, catch basins and manholes. Their existing infrastructure was aging and certain areas were already beyond designed life expectancy. The city wanted to transition from being reactive and repairing failing infrastructure to proactive and inspecting assets and scheduling repairs more economically. They were looking for a vendor that could provide assistance in purchasing the right equipment and then back it up with excellent customer service. Cost was a key factor in their decision process but they considered other factors as well. One important factor was finding a vendor who could provide training and support locally. When asked why SWS and IBAK were their eventual choice, the city replied, “SWS has provided excellent customer service and support during the whole process of purchasing and implementing our new equipment. SWS has provided very in-depth, comprehensive training and has been very responsive when we had questions. I would not hesitate to contact them for any of our inspection equipment needs”. When asking the city about their sales rep, they replied, “James Long has been a great sales representative. He has either handled any issues we might have had in a very timely and professional manner or put us in contact with those who could”. 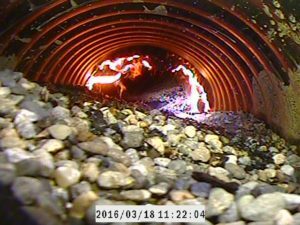 SWS and IBAK, working together with the City of SeaTac, have made this a positive experience for all concerned.